When it comes to decorating your home, what do you think of first? Is it new furniture, a fresh coat of paint on the walls, what kind of floor will suit you best? It’s easy to be overwhelmed, and you may not think about a detail that affects a lot more than just the aesthetic appeal of your space – window treatments are so important to the functionality as well as style of your home. 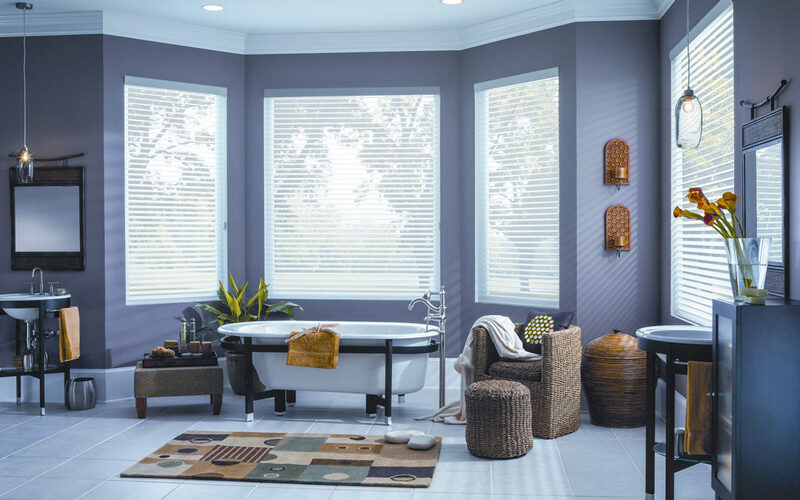 The first step to finding the right window treatment options for your home is knowing the differences in what we offer. Blinds carry the benefit of coming in many varieties of material, offering a wide range of prices to suit every budget. 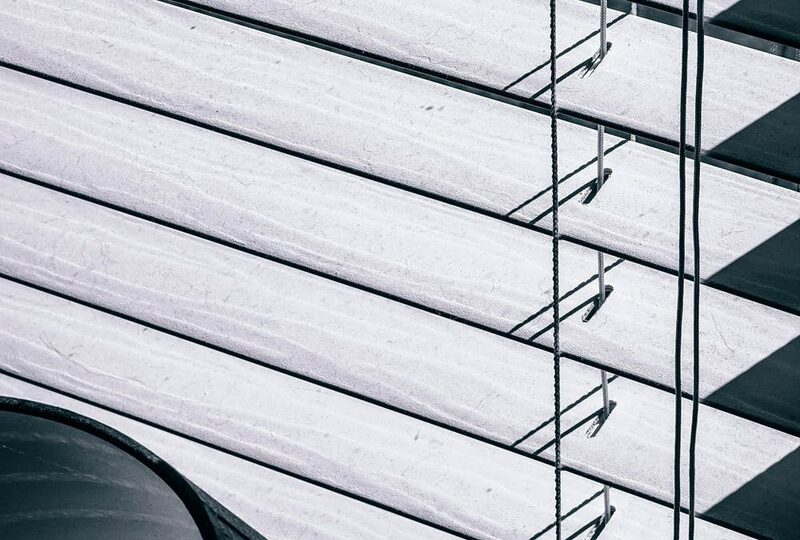 Aluminum and vinyl or blinds tend to be more affordable, and wooden blinds fall under a more expensive category – but these options give you a freedom with how your windows fit into your home decor. 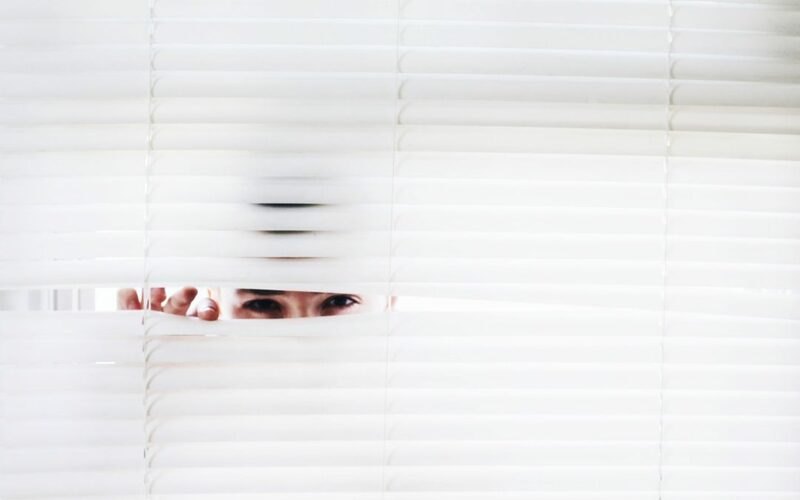 The amount of light blocked also varies among types of blinds, so keep this in mind if you’re looking for window coverings to provide complete privacy. Often, people choose to use curtains in addition to blinds to ensure a more opaque covering for security. Blinds can also come in vertical or horizontal slat options, ensuring that you can find blinds to suit your needs. Shades are a window covering that offer possibilities different entirely from any other window covering. Shades are a fabric covering that can be opened to all light in, or close to shut out light completely, if the fabric is dark or thick enough. 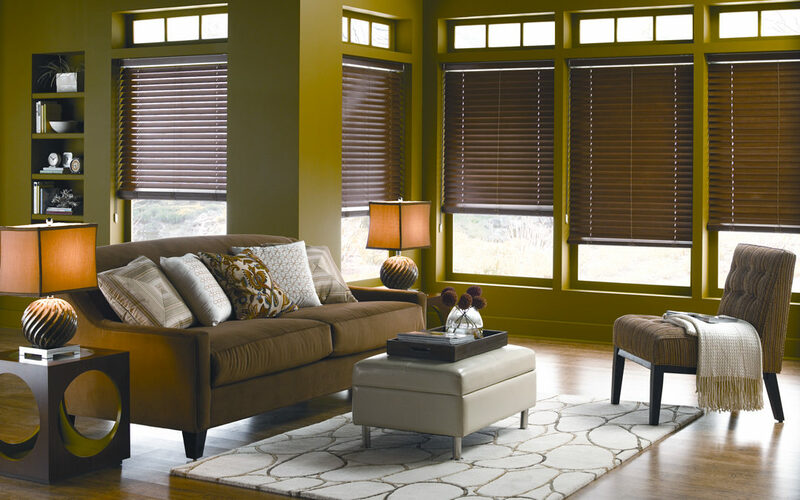 Like blinds, shades vary widely in material and price point – so there’s something for every home and design style. Shutters are an excellent choice for a home with hardwood floors or other wooden decor, as they can be painted or stained to match the woodwork you already have. Shutters are high end and elegant in appearance, and offer the flexibility of partial or entirely blocked light. Wooden shutters are durable and dependable, and oftentimes can add value to your home. You can learn more about our beautiful shutters by calling us at (604) 436-3400. The smallest things often have a massive impact on our life. Organization is a subtle yet vital part of living your life to the fullest. However, it is something that often gets tossed aside when our busy lives take over. Organizing can help improve your life by allowing you to take charge of your immediate environment and the way you interact with it. One of the best places to start organizing your life is your closet. A closet filled to the rim with two feet of clothes on the floor and a chaotic jungle of clothes on hangers just isn’t the way to a happy, stress free life. Here are 5 ways having an organized closet can improve your life. Nothing makes you regret those extra ten minutes of sleep more than frantically searching for a missing sock for ten minutes. If you’re anything like me, living on the edge of being perfectly on time, and being late is a sort of guilty pleasure. But this can turn into being really, really late if your perfectly timed plan gets derailed by having to search through piles of clothes to find the day’s outfit. By having an organized closet, you will be able to easily find everything you need. When your closet is clean, it makes picking out an awesomely coordinated outfit infinitely easier. No longer will you be limited to digging through your closet to find one shirt that doesn’t match anything near you. Even if you don’t pick your outfit the night before, all you will have to do is go through the different sections of your closet where you’ll clearly be able to see the options you have. It’ll make getting dressed as fun as shopping! Once you get your closet organized, you will be able to decide where you want to put separate sections for every type of clothes. One good idea is to make a section solely for your workout attire. That way, there won’t be the excuse of not working out because you can’t find anything to wear. It’s much easier to work out when you pass by your closet and your running leggings are begging to be used. Anything that boosts motivation is a good thing! Not only will having a clean closet make your life run smoother, you’ll also experience less stress. A study done by neuroscientists at Princeton University found that when they looked at people’s stress and performance levels in an organized versus disorganized environment, any sort of physical clutter in the surroundings subconsciously competes for attention, ultimately resulting in decreased performance and increased stress. For those who love to decorate it’s time to give your house a little love and freshen it up. One of the best ways to do this is to invest in some new blinds. However, you may be wondering what to do with the ones you’ve already got. Should you throw them away, or is there something better to do with them? And what about all the different kinds of blinds there are? Surely they can’t all be treated the same! Many recycling places do not accept certain kinds of blinds. This gives recycling a whole new meaning when it comes to blinds. Certain types of blinds can be repurposed, while others can be gathered to use as material for creating other usable items. Here is a guide on how to recycle any of your blinds the best way. Generally, aluminum blinds are made with completely recyclable aluminum and can be taken to any recycling center, or scrap metal yard. Be sure to clean the blinds thoroughly before dropping them off. You can easily do this by hosing them down with some water. If you are taking it to a scrap metal yard note that they won’t accept full blinds, only the parts that are made of aluminum and steel. You can get these by cutting the lift and ladder cords in order to free each slat. Unfortunately, wood that has been treated in any way or painted cannot be recycled by conventional means. Recycling centers usually accept cut limbs, or lumber pieces that are left over, but wooden blinds don’t fit the criteria. This leaves donating as the best option. Not only will someone be able to reuse them, it is very eco friendly. 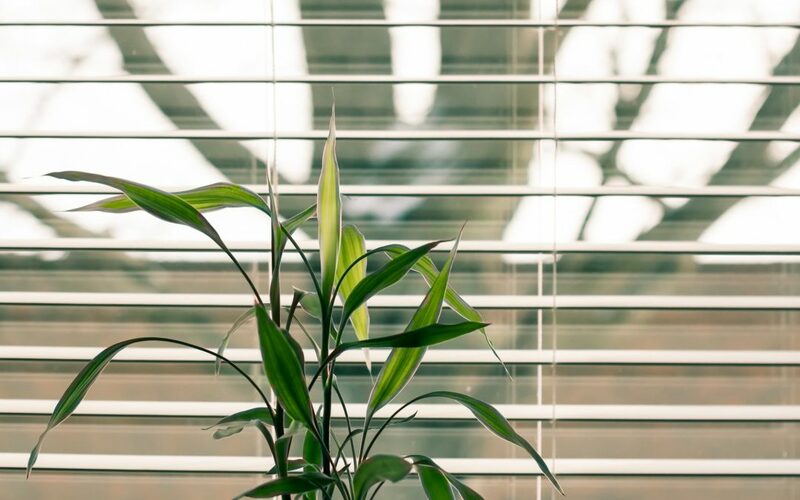 If your wooden blinds are broken, there are several projects they can be used for, like using the leftover slats to make garden markers, or using them to create accent pieces for your furniture. Once you stop looking at them like blinds, the possibilities for what they can do are practically endless. The same story goes for faux wood blinds. These are made with a mixture of PVC and recycled hardwood which cannot be recycled a second time. Again, these can be donated, or used in a fun DIY project. Fabric window coverings are some of the easiest to recycle. These are almost always in demand, and can be easily donated or given to a friend. If your shades are not in the greatest condition (torn or broken) you can take them apart to be taken to a recycling center. Simply use scissors to cut the fabric away from hardware and cords. Any leftover metal hardware can be recycled at a local center. Fabric can be taken to a clothing donation place, or you can also keep it to use in a project. Note that if your fabric is wet, has grown mildew, or been exposed to something hazardous, it’s better to throw it away. Usually cellular shades are made using a plastic headrail, metal components and 100% polyester fabric. Polyester fabric is sometimes made using recycled materials like plastic bottles, but currently the technology doesn’t exist to melt down the fabric back into other usable items to be recycled multiple times. Polyester can, however, be shredded and reused to use in making quilts and as a filler for homes and cars. To recycle them simply cut the head and bottom rail off the fabric, and take it to a clothing donation place. They sell clothing that can be used, but also send soiled or scrap textiles to be shredded and used as filler and insulation. Remember that reusing anything is always a better choice than recycling, simply because there is no extra energy spent to turn the material into something else. If you are ready to get rid of your old blinds but they still work, many organizations happily accept these. If they are used, but still work well, check to see if a friend or neighbor is in need of them. Another option is to take them to local places that offer help like churches, women’s shelters, and children’s homes, which usually accept any donations. Always remember, someone’s trash is someone else’s treasure! When you’ve found a way to recycle or reuse your old blinds, head to Sunburst Shutters to create a new window treatment vision for your home! With summer in full throttle, and energy bills rising, you may be wondering if there is anything you can do to help bring down the costs of living in the hottest months of the year. Did you know that your windows are a main point in your home that can either make your energy use incredibly efficient, or significantly drain the bank? Don’t feel like you have to choose between running the AC 24/7, or practically living in a greenhouse. Here are some ways to let your windows help your home stay fresh and cool during the sweltering summer months. Having solar film on the windows of your home does the same thing that it does on your car windows. Solar film darkens your windows so that less light and heat are able to pass through, allowing your home to spend less energy trying to keep up with the rising heat throughout the day. 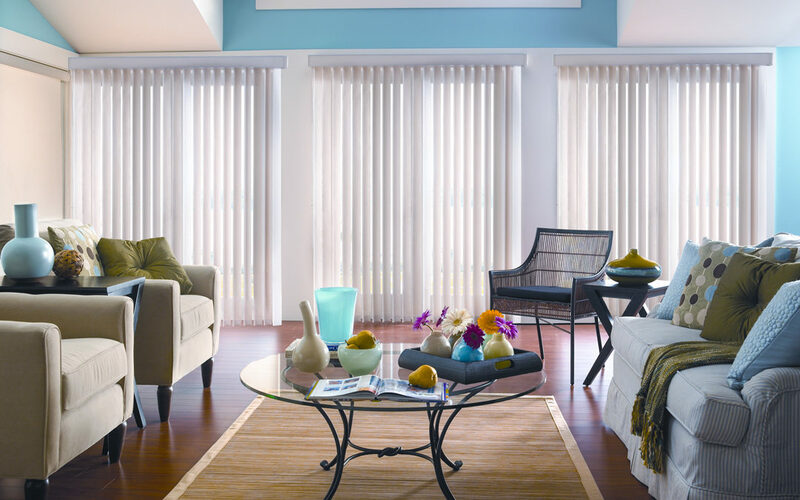 Summer window treatments should have several layers of protection against outside heat to more efficiently protect against rising energy costs. This can be done several ways. One trick is to combine curtains or blinds with the use of solar film on windows to maximize the prevention of heat coming in. However, if your aesthetic preference does not include tinted windows, you can still reap the same benefits by using light colored blinds or curtains to block and reflect the incoming heat. Try to keep the colors of the curtains and blinds on the lighter side to trick yourself into feeling like the room is lighter, and more fresh feeling. Keep all curtains and blinds closed during the day to provide the best sun blocking effects. Although it may seem like a simple tip, up to 30 percent of unwanted heat comes from your windows, By using sun blocking window treatments you can save up to 7 percent on your bills, and on average, lower your indoor temperatures up to 20 degrees. When you are considering your strategy for placing sun blocking window treatments, make sure you take note of what windows need the most coverage. South and west facing windows usually require more protection from the sun than their counterparts. Doing this will prevent you from spending too much money where it isn’t needed, and skimping on the sides that really matter. As you are decorating your windows, take the time to check for any gaps and cracks in the structure. If windows are not properly installed and sealed up, this can let out cool air, and let in muggy outside air, making it much harder to keep your house cool. If you do find any cracks, simply close it up with a material appropriate sealant to solve the issue. Summer nights are generally much more refreshingly cool than the days. If this is the case in your home, make use of those fresh hours by cracking the windows where you sleep. You can give the AC a break, and let nature take over for a few hours. You can even get really strategic with it and make a wind tunnel by setting up your fans to create a perfect cross breeze. Be sure to remember to close your blinds and windows in the morning before the heat comes back with full force! When making serious considerations for the decoration of a room, people hardly ever think of their shutters first. It’s often the bigger furniture pieces, paintings, or paint color that get the most attention. However, shutters have a lot more to offer than most people realize. Shutters are the frames that complete the picture your window’s view creates, ultimately tying a room’s decoration into a completed masterpiece. So what else do they offer to the table aside from making your house look put together? Let’s explore the hidden benefits of having great shutters in your home. 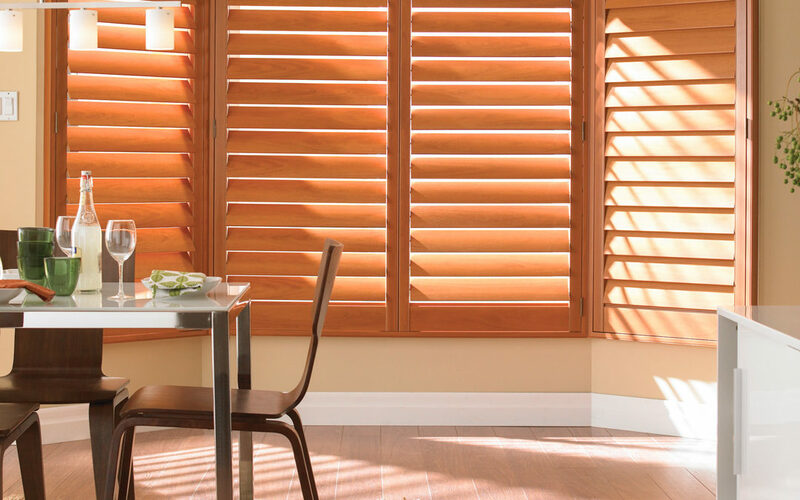 Shutters are one of the most customizable window treatment options, able to take any existing style to the next level. There are classic and contemporary options available to fit any home, and because our shutters can be custom built for your home, you can be sure that it will match any existing furniture or flooring you may have. Not only are shutters more durable than blinds and draperies, they give your home a completely new look, providing an elegant and sharp appearance. A lot of people choose to use shutters because of their ability to seriously improve the style of any home, not to mention drive up its value when selling. If you are planning on selling your house anytime soon, it’s a great moment to become acquainted with “home staging”. This is when people decorate the house they are trying to sell in such a way that interested buyers can see the character of the home when they walk in. For the home to make a lasting impression, people need to be able to see themselves living there. It allows them to see the full potential of the home. Great shutters can play a vital role in making the house appealing to a buyer. It completes the look, allowing potential buyers to get a sense of the character of the home. Because shutters are often installed into the existing frame of the window, they are often left once the sale is made. This raises its value, and provides a great point of interest that could drive the sale of the home. As an added bonus, shutters help you make a great impression by making the room appear to be much more spacious when you leave your shutters open and allow natural light to filter in. If you live in a home that is blessed by a lot of natural light, you know all too well that this can quickly turn into a curse when it begins to get uncomfortably bright and hot. Shutters can significantly help this situation by allowing you to control the amount of light and heat coming into a room with the simple turn of a switch. This also works in the winter when shutters help stop warm air from escaping through the windows. Shutters deserve a lot more attention than they usually get. If you are considering a change in your room’s decoration, or simply want a solution for exceedingly bright windows, give shutters a try. We know that choosing from all of these options can seem fairly daunting at times, and are more than happy to help you reach your decorating goals. Call us at (604) 436-3400 today! For people who love designing the interiors of their home, one of the benefits of living in the modern day world is the infinite options that are out there for window treatment styles. However, this wide array of options can sometimes be intimidating when it comes to actually picking something out. Selecting window treatments can actually be quite easy and even pleasant experience when you know what you’re looking for, and what will work the best with your space. One of the things that you may experience choosing between are blinds and curtains. Both have great aesthetic looks and additional benefits, but certain spaces fit better with one or the other, and sometimes both. Here are some tips on helping you in your decision. Curtains are known for their elegant draped appearance that makes daylight look ethereal as it softly shines through. Curtains come in every kind of color, pattern, material, and size that you can think of. There are even places where you can design your own. Curtains are able to fit any room style, they can be light and flowy in the kitchen, or thick and heavy for ornate design themes that keep the room dark and cozy. Curtains are great at creating a focal point for the room. Blinds, on the other hand, are usually used in more professional settings, although they can also create a great casual feel to any room. Blinds have changed so much in the past ten years, changing from simple generic style to having a huge range of options. Generally, blinds are known to be less expensive than curtains, which help if you are decorating on a budget. Although they are generally not as ornate as curtains, they can be easily enhanced with stunning valances and other window treatment accessories, or you can even design your own custom made ones. Two of the main functions that curtains and blinds have are the ability to control light and provide privacy. The type of curtain or blind that you get makes a big difference in the strength ability to do either. The lightest, sheer curtains are usually always used for decorative purposes. They let light and, and offer little privacy, but they are great for creating a soft, soothing and relaxed environment. Heavy curtains on the other hand block almost all of the light coming into the the window when they are totally closed, but can be easily adjusted by closing or opening them. Generally, it is best to have an arrangement of both, so that there is a set of sheer curtains that somewhat block the view whenever the thicker curtains are open. Blinds are one of the most functional décor pieces out there. With a simple twist of a rod, you are able to control how much light enters the room at any given time. Because of the curved blind slats, the view inside the home can be obscured, while allowing light to shine through. The gives them an advantage over curtains, giving them the benefit of both light flow and privacy. More and more, curtains and blinds are being combined to form the ultimate form of function and decoration. Blinds cover the window, while decorative curtains are placed over them. This way, there is no choice between functionality and beauty. For people who have a hard time deciding between either, this provides the best of both worlds. This style provides many options, the blinds can be pulled all the way up so it only looks like there are curtains. There are many benefits for both sides of window décor treatment choices. However, there is no right or wrong choice. When you are deciding what type of window covering to use, choose what fits best with the mood and existing decoration of your home. Sometimes having an infinite amount of choices can be overwhelming though. Let Sunburst Shutters help take the guesswork out of deciding the best solution for your window treatment needs. 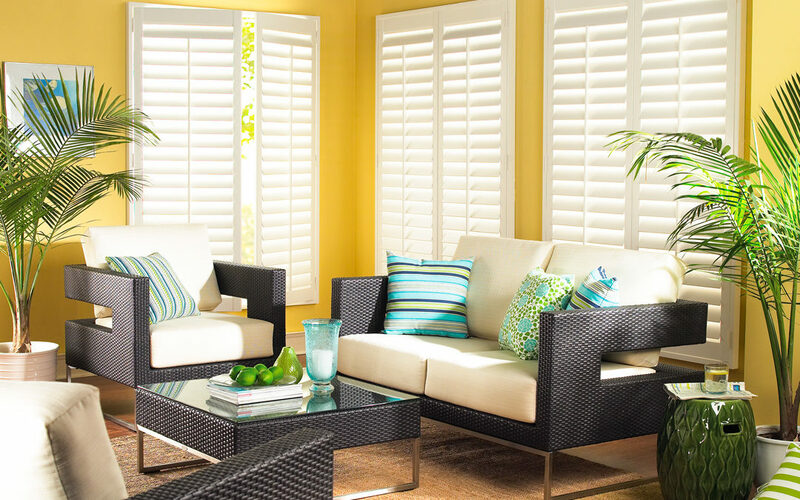 At Sunburst Shutters we have a style for every budget and space. Give us a call today and let’s get started on your new window treatments! Spring is finally here, and the excitement of new beginnings is everywhere. Spring cleaning has always been a special part of this season, allowing us to reorganize the way we live in our daily lives, and smooth out anything that isn’t working. One place in the home that often gets overwhelmingly cluttered during the winter months is our closet. After piling in the coats, presents, and crazy amount of layers needed to stay warm, it’s clear that a closet intervention is needed by the time spring arrives before it gets out of control. Whether you just have a little bit of a mess, or if you can barely keep your closet door closed, here are six ways to help you get your closet in tip-top shape. 1. Look at what you currently have in there. The only way to get a true, honest look at what you have in your closet is to empty its entire contents out. This may initially seem overwhelming, but simply trudge on and make separate piles of the big massive pile you start out with. Make a pile for must keeps, donating, and throwing away. I heard a brilliant piece of advice that said to look at each article of clothing, and ask yourself if you were at the mall right now, would you buy this? If not, then it’s not likely going to be used that much. 2. Invest in closet organizers. After you have pared down your clothes to the absolute necessities, it’s time to figure out where to put it all. 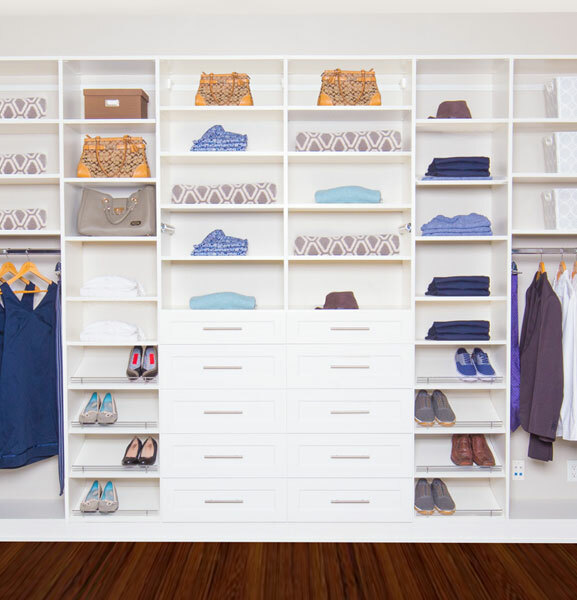 One of the best ways to get your closet organized is by investing in a closet organizer. After installing the closet organizer, begin to make specified areas that hold part of your outfits, Dedicate an area to undergarments, shirts, pants, skirts, dresses, etc. Then organize each individual area by colors, length, styles. This will seriously speed up your morning outfit finding routine. Depending on where your closet is situated, it may lack light needed to quickly find objects. New homes sometimes have a small overhead light that helps a little, but older homes hardly ever have this feature. Stick-on or screw-in battery-operated LED lights placed on each shelf will help achieve high glamor and efficient appearance, without the high cost. 5. Invest in good quality matching hangers. Although this is often overlooked in closet organization, hanger uniformity is actually quite helpful because it keeps all your clothes at the same level, while avoiding the wildly cluttered look that many closets sport when using different kinds of hangers. Bad quality hangers will also damage your clothes. Good quality hangers can be made of plastic, metal or wood, each allowing for a different price tag. Whichever you go with, make sure they’re durable enough to stand the weight and type of clothes you will be laying on them. 6. Use the top shelves. One of the spaces that often gets overlooked in closet organizing is the top shelf. This can be an effective place for more storage, or it can be a great place to display your collection of purses. However, you may find that even after you have organized your closet to the very last detail, the highest top shelf is still evasive to your daily routine (for those of us that are vertically challenged). To maximize your ability to move in the closet, you may consider using a stool, or even a rolling ladder. This will make all the difference when it comes to accessing those otherwise out-of-reach spaces.